These clear adhesive, permanent, acid-free dots from Therm O Web are revolutionizing crafting! No more need for yellow dots, messy liquid glue or dangerous hot glue. 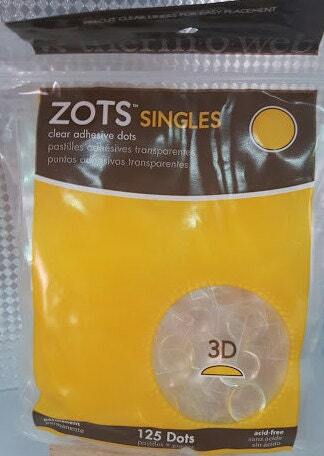 Each package includes 125 zots that measure approximately 1/2" in diameter and 1/8" thick.